Family First Senator Bob Day has strayed beyond his area of expertise by lending weight to unsubstantiated claims wind energy is linked to adverse health impacts. 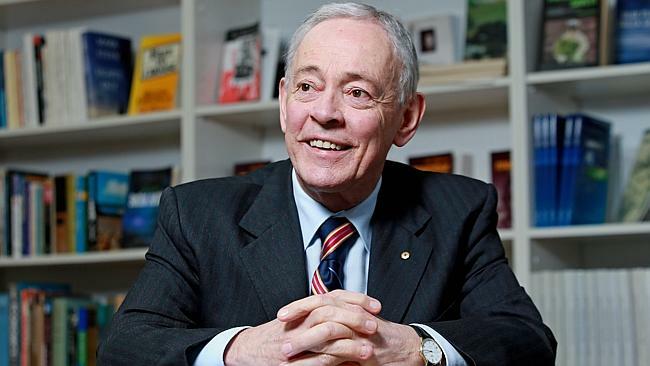 Senator Bob Day, who is on the senate select committee on wind turbines, has asked Prime Minister Tony Abbott and Minister for Energy Martin Ferguson to delay resolving the Renewable Energy Target until the wind energy investigation is completed. Senator Day said he had heard “harrowing” evidence about the impact of wind turbines on ­humans and animals during the inquiry’s first hearing last month and wanted to know all the “facts and figures” before a RET deal was reached. “I think it’s not unreasonable to ask that we don’t come to any agreement on the Renewable Energy Target until such time that we get to the bottom of this,” he said. Senator Bob Day’s statement on the alleged health impacts of wind farms are out-of-step with the the view of public health experts. Senator Bob Day is not a doctor and should defer to the experts on the matter. 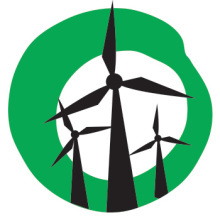 There are now 24 reviews by credible bodies, such as the Australian Medical Association, that show wind energy is clean and safe. Senator Bob Day’s statement is further evidence that the current senate committee investigation is failing the impartiality test and is looking more and more like a witch-hunt. If Senator Bob Day wants the inquiry to have any credibility with the Australian public, then the final report must discuss wind energy in context. It will have to compare the technology to fossil fuels, consider jobs and economic benefits, and its contribution to tackling global warming. If it fails to do so, then what little public confidence there is in the inquiry will be eroded. Should we really be surprised that people who put more faith in imaginary friends than science should utter such ridiculous claims? The question needs to be asked why he puts more stock in anecdotes from recognised wind energy critics rather than heed the advice and recommendations of the major medical bodies? Come on Blair, that old science and anecdote argument, that you and Clarke put up, doesn’t wash anymore. Wind turbines are causing problems to some people, both here and around the world, just accept it and work towards doing something constructive about it, rather than ridiculing everyone who is genuinely trying to find the cause of the problems. Of course any arguments about science don’t wash with you TCW, you are too busy running around doing your chicken little impersonations about those big bad nasty wind turbines… Poor diddums, you really need to grow up a bit and move on. The science says you are full of it and it’s well known that the people with “issues” are primarily wind farm opponents for their willing lackeys. You still can’t explain why there are hundreds of thousands more people for every one whinger who can live around wind turbines without any problems whatsoever. You still can’t explain why the alleged conditions are no different to what many people in the broader community experience on any given day. Most of all, you can’t admit that “symptoms” are mostly psychosomatic. Why should anybody seriously entertain the idea of trying to work with you guys when you have done nothing but ridicule the science and evidence, impugn the integrity of landholders who host windfarms, project developers and supporters of wind energy and go out of your way to lie about the alleged detrimental effects? You’re simply not credible – except to a few deluded antiscience senators who are looking to make a bit of a name for themselves prior to the next election. If you want people to respect you and to respect your claims, it’s time you started reciprocating. You could start by calling out the liars and crooks behind the various anti-windfarm blogs. Unto you can do that, don’t expect any sympathetic hearing from renewable energy proponents. We do not expect any sympathy from renewable energy proponents. The renewable energy proponents, coupled with with the wind industry, is where you will find most of the crooks and the liars. If you want to talk about credibility, I am sure anyone reading your last post, would think you are very credible. Too funny. The crooks and liars are your mob TCW that you are too dull to see them. Given you don’t have the courage to even post under your own name, forgive me if I have a chuckle at your hypocritical comments. Before you throw around epithets, you might want to check out Peter Mitchell and some of the other anti-wind funders, doing it for their own greed. Don’t worry TCW the bird munchers are on the way out and nothing can save them now. When they are found wanting they just get personal as that is all they have. I am not concerned at all Chris, wind turbines are on their way out, how many wind farms have been built lately? Chuckle all you like Blair, for all of your interesting dialogue over the last couple of years, you and the renewable energy mob really haven’t achieved very much, purely because renewable energy it is not sustainable. Renewable energy will never replace fossil fuel or nuclear generated power. The only people doing it for their own greed are the wind turbine companies. If you really believe wind turbines are on the way out, why do you demonstrate such petulance and unreal criticism? Your words betray your claims. You should consider a career writing fantasy. I really do not have a clue what you are on about Blair. How many new wind farms have been built lately, look at the problems Germany is having, other countries are talking about pulling the subsidies on wind power.. If wind power is so efficient and cheap, why does it need subsidies at all? No one is stopping the wind energy companies from building wind farms. Senvion has approval to build Ceres, why don’t they? My only criticism is, don’t put wind turbines near people, they are causing problems for some people. You and Dave Clarke can say what you like, but wind turbines are causing noise nuisance which in turn can lead to health problems and if you choose to either deny or ignore these problems, you are the ones living the fantasy. You are also living a fantasy if you actually believe wind power can replace fossil fueled or nuclear generated, base load power, it is not going to happen! You don’t have a clue about a lot of things TCW. You’re obviously ignorant of the fact that the Bald Hills wind farm has just been commissioned, another 63 turbines producing electricity. It now means that electricity will only rarely be coming across from the Latrobe Valley now – and those were the words from a guy involved with setting up the substation and planning the route of the lines back to the main grid. The rest of your comments are just the same banal, regurgitated propaganda that shows you have no real idea what you’re talking about. You sound like a preacher for the anti-vaccination or creationist groups who just repeat nonsense despite evidence showing they are wrong. You once told me that you were a professional debater Blair, you have debated all sorts of people including mad Christians and in your mind, won. You called me an amatuer, which I agree with, I haven’t made a profession out of debating, I don’t even consider myself a debater, I am just stating the facts. You said that debating me was like shooting fish in a barrel. Well Blair, you are not even hitting the barrel! The Government said they would honour all existing wind farm contracts, like Bald Hills, where construction had started, before the changes to the RET. I asked you, how many new wind farms have been built since the changes to the RET? You did not answer my question, why don’t the wind turbine companies go ahead and build their wind farms, no one is stopping them, a lot of them have the approvals? Let’s see how much electricity comes across from the Latrobe valley when the wind stops blowing. I have never mentioned vaccination, so I do not know what you are on about there, but for your information, vaccination is a necessity. I suppose when you are backing a loser and the majority of people do not agree with you, they are telling lies. I am only repeating and agreeing with what most intelligent people are saying, wind power just doesn’t cut it. I will repeat, renewable energy, particularly wind power, will never replace fossil fuel or nuclear generated, base load power, it will always have to be backed up and if you believe that wind power will replace base load power generation, you really do live in fantasy land. That article does not suggest I am wrong, it says 100% renewable energy may be possible in 35 years time. That is very vague Blair, it is only a prediction. I will tell you again, it is not going to happen. What’s the matter TCW. Embarrassed about your ignorance on windfarm developments in Australia? You clearly missed the point about my comments on debates. It doesn’t matter whether I’m having a discussion with crazy creationists, nutters who espouse the virtues of doubtful medical modalities or blatant hypocrites and denialists like yourself, the trick is trying to learn something. In your case I have learned that no amount of evidence will sway your mind. You’re a conspiracy theorist and extremely selfish. You cry foul when somebody calls you for what you are and then go on and insult other people and deny the bleeding obvious. On more than one occasion I have seriously questioned the state of your mind. Your question about the RET further proves my point that you have no idea about investments and investment security – it does not disprove the technology of wind energy – but you keep believing you’re winning the battle against clean energy if it helps you sleep nights. The evidence around the world says otherwise. You can repeat whatever you like but the people responsible for developing and maintaining electricity grids disagree with you so if you don’t mind, I’ll defer to the experts instead of denialists like yourself. Your childish word game is very transparent. I have never claimed wind energy would replace fossil fuels,I have said it will be one of a combination of renewable sources that eventually replaces fossil fuels. Evidently the distinction is beyond your ability to grasp? Now why would I be embarrassed, Blair, I told you that the Government said they would allow wind farms under construction, to operate under the existing terms of the RET, there is nothing embarrassing about that. I am pleased you have learned so much about me, maybe you could explain your reasoning behind your thoughts. Why do you think I am a conspiracy theorist and what makes me extremely selfish. Show me where I have cried foul. Maybe you questioning my state of mind, because you are the only person that ever has, says more about you, than me. Why do I have to change my mind, why don’t you change your mind, who is to say you are right and I am wrong? From my observations, many more and a lot smarter people than you and I, support my views, rather than yours. You and the people who support this site, are very much in the minority. My question about the RET and your failure to answer it, proves that you have no idea what you are talking about. I will tell you why no new wind farms have been built since the changes to the RET, it is because they are not viable, they can not survive without Government hand outs, this is why wind will never be a major contributor to power generation, it is inefficient and unsustainable. I can assure you I sleep very well at night and renewable energy is the last thing on my mind. You do have a vivid imagination Blair, childish word game? Up until now, you have been adamant that renewable energy, particularly wind, will replace fossil fuels, now you have changed tack and admitted that it won’t. I have a very good grasp on what you have been saying. I hope you are right and we can operate solely on renewable energy, but in it’s present form, it will not happen, it will always have to be backed up, the preference being nuclear, but coal will be around for a while yet. You are not even close to hitting that barrel yet! TCW, you must be getting really desperate having to resort to lies. I have never claimed wind energy alone would replace fossil fuels. I have said they will be a part of the mix of renewables and possibly nuclear that will replace fossil fuel fired electricity. I answered your RET question but evidently your understanding is as pitiful as your lack of regard for the truth. The only thing you do very well is continue to cherry pick. Keep at it, it’s all you’ve got left. Have it your way Blair, the rest of us need to move on! Really? If only you would. Unfortunately you’re stuck in your science denial and conspiracy theory rut. Yes, please, move on and become informed. Experts on this subject from AEMO and BZE have shown in their respective reports on how 100% renewable can be achieved with practicable solutions within medium range timelines. Clearly storage deployment, bio energy, load demand, a bit of wave and tidal, and dramatically increased energy efficiency are part of the solution when the remnants of coal and gas are finally displaced. Given the $14 average abatement cost in the first low hanging carbon reduction auction, I look forward to the Latrobe Valley power station operators replacing brown coal with dispatcheable energy generation solutions. At 1 pm today renewables totalled about 10% of the NEM. Looks like we all have to get moving on this if we are to do our bit to prevent an environmental, economic and security calamity occurring. We’ve already been witness to the political instability in Syria as a result of the effects of droughts at the same time in Syria and Russia that has no led to a civil war.